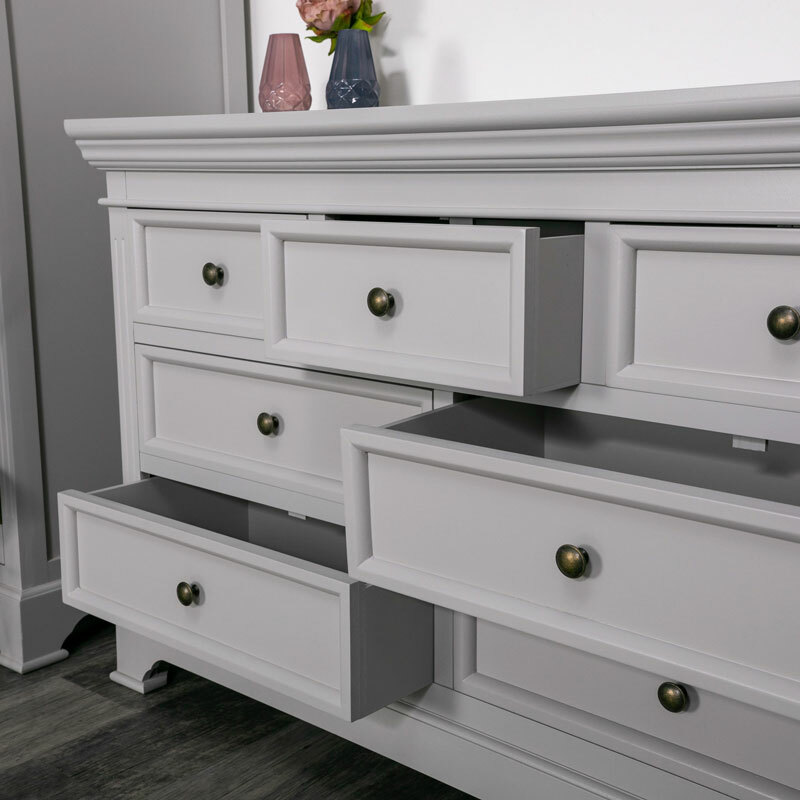 This large chest of drawers forms a part of our Daventry Dove-Grey Range. 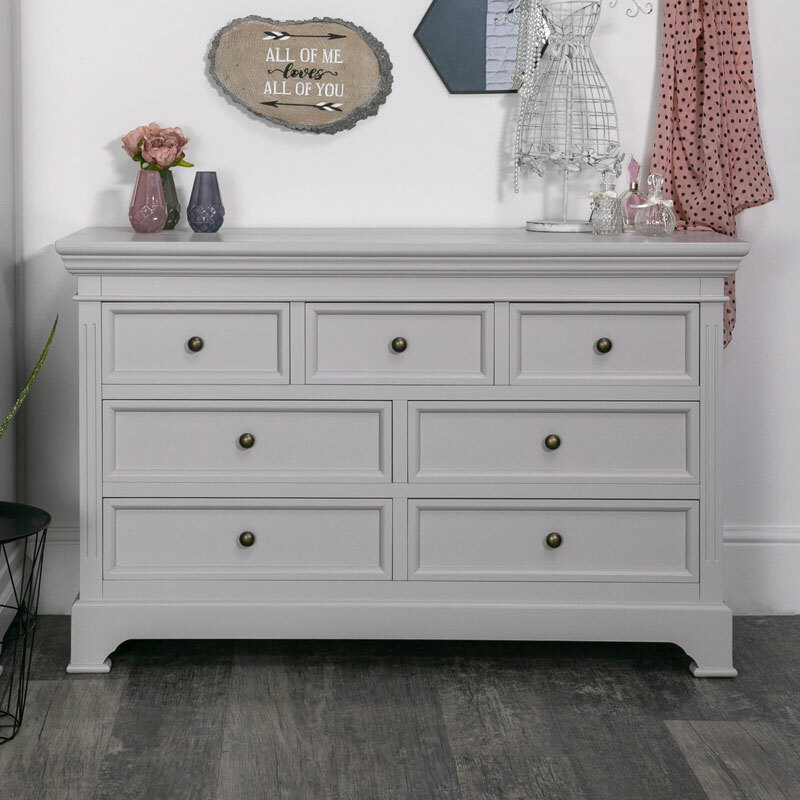 A stylish addition to your bedroom furniture, painted in a neutral grey colour, this chest offers ample storage for your clothes and accessories. The classic Georgian design easily fits in with modern, rustic and traditionally styled decors. 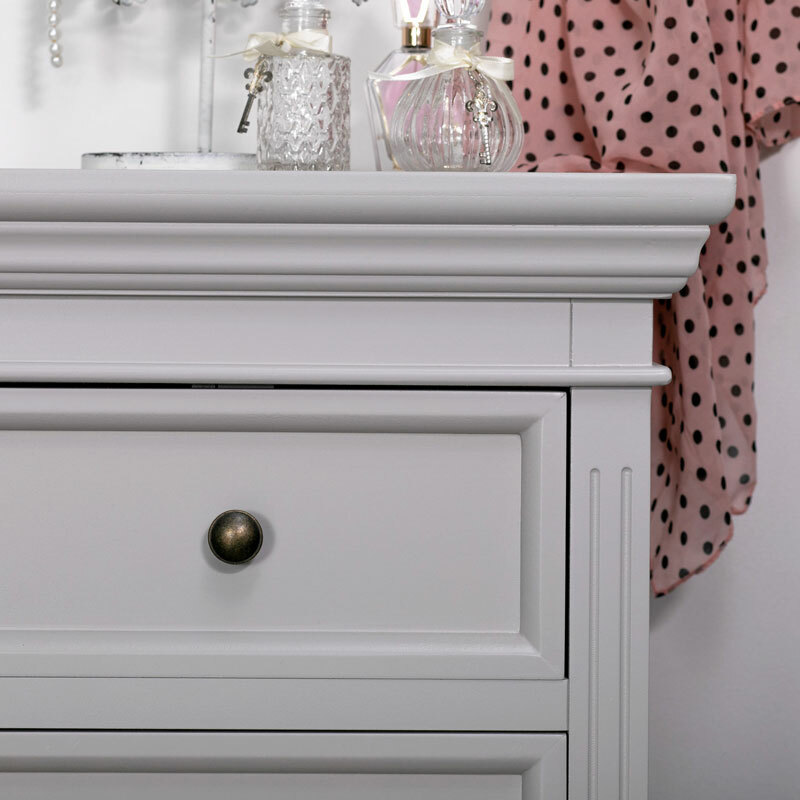 The Daventry Dove-Grey chest of drawers comes fully assembled so no need for fiddly instructions and time spent fitting it together, just unbox and place where you want to create to best living space for yourself. The chest measures a super 120cm x 76cm x 41.8cm (Width x Height x Depth) with the 3 top drawers each measuring 31cm x 12.8cm x 27.6cm (Width x Height x Depth) and the bottom 4 drawers measuring 49cm x 12.8cm x 27.6cm (Width x Height x Depth).